I recently saw one of those fun posts on Facebook, you know, the type with a funny picture and a quote, or something like that. This one was Why I Love Being an Author. It made me think about why I want to be an author. Well, let me restate that, I want to be an author making enough to support my style of living which does not imply that I would need to be the next Stephen King. These are my ten reasons why I want to be an author. If you disagree, you can create your own list. (1) I get paid for exercising a creative outlet. Let’s face it, I’m bored with my Corporate America job. I’ve been doing it for 25 plus years now, and it hasn’t fulfilled a single dream, other than it has provided me the funds to fulfill some short-term dreams. I started writing because I needed a creative outlet. Now I’d like to make what was once just a creative outlet my full-time job. (2) I can work from home, in my jammies, with bed-head if I want. Or anywhere. I live less than twenty miles from work, and most days my commute is an hour each way, and that does not include the time to get ready for work. And when I get to work, I sit in a cubicle. I started out my career in Corporate America in an office, but Corporate America has deluded itself into believing that cubicle farms are the way to engender productivity. Or at least that’s the take away from the rah-rah “what’s good for the company” speeches, from the “this is a good problem to have” lectures. I haven’t found this to be true. Most days I feel like I work in one of those chicken coops, you know, the corporate farms’ coops with tiny cages stacked ten deep in which the chickens at the bottom are literally smothering in the poop from above. Plus, I can live anywhere and still be an author. I could move out of the city or move into the inner city. I could have a small house in the woods or on the beach. The options are limitless when you aren’t tied to an office. (3) I can work in the middle of the night. Or take a nap, whenever. I am not a day person. Ask my co-workers how lovely it is to work with me in the morning, especially after only a few hours of sleep, which happens more often than most understand. Like Ms. BlackBeary, my cat, I could take a nap any time of the day, maybe two. Writing is a great release, a great way to address issues without having to confront people. I’ve had a lot of unnecessary trauma in my life. Most writers have had f’ed up lives. I think that’s what makes their writing compelling. Because of my particular dosage of f’ed-up-ness, I try to dodge confrontation if at all possible, which makes it seem, if you don’t look too closely, that I’m an easy target. Not true. At least, not for long. I have a limit, and if you cross the line I’ve drawn in the sand, then I got nothing for you. But some people can’t let it go–whatever it is–and have tried to back me in a corner or use me. If I ask you to leave me alone, I mean it. If you cross that line, not only will I fight back in real life, I’m sure a character a lot like you will end up tortured, maimed, or even killed in one of my stories. (5) I can kill people. And get paid for it. No, I’m not a hit man. But I am known for having my characters die in strange and sometimes frightening ways. I’m pretty sure that I scared some of the people in my writing classes. For me this is a type of internal release valve. It keeps me from acting on my fantasies of revenge. It keeps me from harming those who have caused me serious injuries. Just like with (4) I can use my imagination mingled with my memories to heal my wounds, sometimes by inflicting imaginary wounds on others. (6) I get paid to lie. (7) I get to create my own worlds. Don’t like Seattle, Atlanta, or New York? Doesn’t fit the story? Well then, I can invent my own world/place/city. If it needs to be so different that it won’t even fit on this planet, then I can write science fiction or fantasy. I get to use my creativity to make a world for my use only. (8) Likewise, I get to create people. I named this blog Literary.Schizophrenia because I invent people, people who become real in my head after a time. When I first start on a story, I come up with the idea of a character and then I put them in bizarre situations. At that point, I just follow them around to see what they’re going to do. Some are interesting, some not. The interesting ones get to hang around. (9) Reading novels is considered research. Authors can move around easily, much more easily than someone in a soul-sucking, cubicle-squatting, 9-5 job. And so, authors often tend to end up as the protagonist in novels or movies. Which makes it seem somewhat glamorous to be an author. And apparently authors have all the skills required to be detectives. Jessica Fletcher made Cabot Cove, Maine the murder capital of the world. I still think she was committing all the murders and was smart enough to blame it on someone else. To say the least, authors are one special group. And I want to be a member of that group. ReBlog: If I Were a Newly Self-Published Author, What Steps Would I Take To Succeed? I’m on board with all of these except the one about the prologue. I do agree that if there is a prologue it should be short and not a necessary part of the story as many people skip over them. 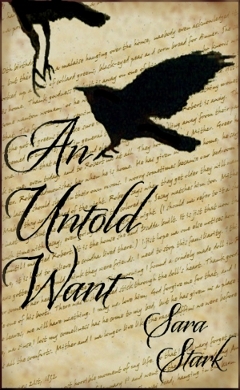 In my novel, An Untold Want, I have a prologue that introduces the tone of the book. The reader won’t be missing any facts if they skip it, but it’s a nice bit of prose, even if I do say so myself. I’ve been thinking a lot lately about this desire to be chosen by an agent/publisher. There are nights when I beat myself up, when I wallow in self-pity [I am notorious for that, but at least I’m self-aware] because I couldn’t get an agent to represent me and my novel. To have chosen to go down the indie route because I couldn’t get an agent at times feels like a cop-out, like if I’d just tried a little harder then I would have been good enough. I wrote a good book, a quality book, and no matter what these agents think, it’s worth publishing. And then I think, why would I want to go down the traditional publishing route anyway? I’ve never been known to embrace the norm, to fit in the box whether at work [ask my managers, if you don’t believe me] or in relationships. Or in writing. I don’t want to be normal. I want to be more, better. I want to live my life, not a life that fits someone else’s standard. I want to live outside the box. To be unique, authentic. Different. So why this desire to be normal publishing wise? We’re told, time and again, that vanity press, that self publishing is only done because you’re not good enough to be a real author. But I’ve found that isn’t true. I’ve read Indie books that surpass many of the traditionally published books on the market. And yes, the indie world still has a lot of growing to do, but that doesn’t diminish my work. I’m an individual and should be treated as such. Somehow, even though I’ve managed to annoy my management, sometimes to the point that they loathe me, I’ve always worked hard and have a reputation of delivering what I say I’m going to deliver. And I make a very good salary in my big Corporate America life-style. But I also have the satisfaction that I won’t sell out, won’t deliver my soul up for better pay or some manager’s fleeting approval. So why would I sell my soul to a publisher? Why would I want to get 7% of my royalties, which is what the traditional publishing route would net me, when I can get up to 70% of the royalties? Especially when with a traditional publisher, I’d have to do most of the work anyway. Gone are the days of the big promotions for new authors. So my book wouldn’t do any better, sales wise, than it is now. If I was a purely business oriented person, I’d say that the traditional route ROI is crap. I write a book. I set up my social presence and much of the advertising. I do all the things you, Mr. PublishingHouse, don’t want to do for a new author. And you give me 7% of the sales? That’s not a smart investment. Yes, I am a control freak, but in this case, it’s a good thing. My manuscript isn’t sitting at the bottom some agent’s or some publisher’s I’ll get around to this one day pile. No delays due to re-formatting or waiting for an interior design person, one with low enough status to rank working on a newbie’s book. I control how fast my book goes to market. I control the number of words, the editing, the title, the cover, the design. I control what percentage of the royalties I’ll get by deciding how the book will be distributed. There are no long-term, dead-end contracts. If I want to pull my book from X distributor, I can do that. I control everything, but mostly I control how successful I am. (3) I own the rights. Does this need explaining? In the case of publishing, if I pitch the story to a movie house, it’s mine to do so. And if I do so, I get the proceeds from the sale, not a small portion of them. There are a hundred other examples. Basically, if a publishing house has the rights to my book, I control little or nothing. In life, I own my success and failure. I own my soul. Not one of these reasons indicates that an indie writer will have an easy time of it, that they will be an instant success, that they don’t have to edit or produce quality work. Writing is hard work. Why would anyone think that publishing is easy? But what the reasons do indicate is that we newbie authors should get more for the work we’re doing, we should look for the best ROI. So you see, it’s good to be different, to be indie. Yes, it’s another Indies Unlimited Flash Fiction contest entry. It’s unusual for me to do two so close together, but when I looked at the picture, I couldn’t resist. I’m planning a vacation to an island in the San Juan’s and the picture made me think of what might be while I’m on vacation. I read through the other entries, and I think I have put a unique spin on the story. That kid in the picture is my little brother, Andy. In 1987, he got carried away by an undertow at this very beach. The authorities never recovered his body. I took this picture of him yesterday, when he walked up out of the water as if nothing had happened. For just a moment I’m sure I’ve lost my mind. The boy, it’s Andy, my twin, but it can’t be Andy. Andy died. When we were kids, Andy died. The undertow took him from us, never to be found again. I draw near, wary that a grownup approaching a young boy might look suspicious. But I can’t stay away. I have to see this boy. This ghost I’ve just captured on film. As I suspected, a woman rushes up, grabs the boy’s hand, and asks me what I’m doing. The boy pulls away and runs further up the beach. Never taking her eyes off the boy, the woman must sense my sadness. The father looks up from where he sits on the beach and waves at the boy. There’s something about the father. I move closer. The man stands, picks up the boy, and my heart skips a beat. Can it be? My brother, Andy, fully grown, my twin, stands before me. I walk up to him. Ask the Author: Where did you get the idea for your most recent book? Everyday I see something or read something, and I think, that would be a great story. For awhile I kept a list of story ideas, but it got to the point it was frustrating to note down another idea and not do anything with it. I’ve sat in movies and halfway through thought, if this doesn’t end the way I think it’s going to end, then I’m going to write that story. 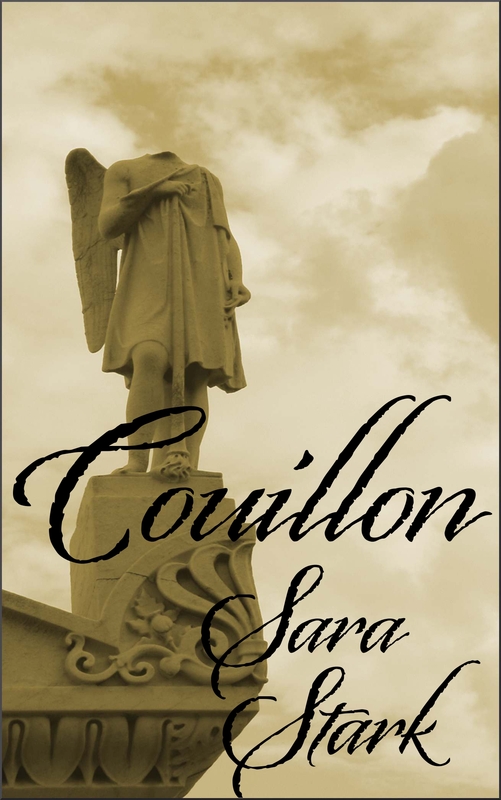 With Couillon, I was under pressure to write a short story for a literary fiction class I was taking. On the web I had recently seen an image of Jesus and Mary painted in DayGlo colors, and in my head, I immediately saw that painting hanging in a voodoo shop in New Orleans. I love all things mystical and spooky. That image of the voodoo shop gave me the theme and led me to write the first section [20 pages or less for the class], the scene where Janice purchases the voodoo doll. I later turned that short story into a novella. An Untold Want had no such immediate inspiration, no ah ha moment. I had finished my literary fiction class and helped form a short-lived writing group with some of the members of said class. They were all working on A Novel, and I thought I should be working on a novel too. Again, I love anything arcane. But for me, a novel can’t just be about witches or spooky stuff. Yes, there are a lot of novels out there about witches and ghosts, but I don’t write urban fantasy. I’ve tried to write genre, because it sells better, but I just don’t think that way when I’m writing. Then I thought about Alice Hoffman’s Practical Magic, and I decided to try my hand at a story like that. It ended up being nothing like Practical Magic, except it has witches, but that was the key factor in how An Untold Want started. I pulled the last name from one of my favorite songs, Ode to Billie Joe, but spelled MacAllister differently. I took the setting from Midnight in the Garden of Good and Evil. You don’t get spookier than Savannah. And from those key factors, I built a small town and an unhappy woman who is a bit too much like me. For my latest project [working title: Twin Story], I decided that I did not want to invent another small town. It’s a lot of work to create a world, from the street grid to the geography [Is it a swampy area? What are the trees/flowers like? What does it smell like? What are the buildings like?] to the town’s personality/attitude. I’ve lived in Seattle long enough that I thought I’d try my hand at writing a novel based in Seattle. 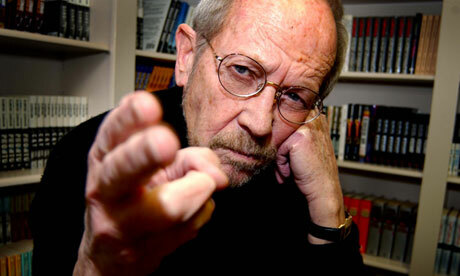 But my novels have to have that bit of the esoteric, or they wouldn’t be mine. So I decided to incorporate Native American mythology into it. But the key factor, what really started the project was an article I read in the Weird News on some newspaper website. I can’t tell you what the news story was because that would give away a large part of the story I’m working on. But those three things — Seattle, Native American mythology, and weird news — gave me the premise for my new novel. I’ve since read a lot about Native Americans, about the residential schools [which disturbs me greatly], about the different tribes, and about the myths especially those of Raven. I didn’t realize how different the Pacific Northwest tribes are, but I’ve grown to love the Native American mythology. I’m still not sure how I will pull it all together, but I’m working on it. With that said, I should be writing the book instead of writing about it. I wish it were as easy as writing a blog post. Today, th e WordPress Daily Post mentioned “sleep procrastination”. I don’t think I procrastinate at night. I know that my brain’s not on a 24-hour schedule. There are nights when I’m literally awake all night, and I’m well into the next day before I get sleepy. I’ve been to several doctors and every damn one of them gives me the same lecture. Don’t read in bed. Don’t go to bed until you’re sleepy. Don’t this… Don’t that. And you know what, these platitudes do not work for me. I’m a night person living in a day-oriented-work world. I tried the “stay in the living room until your sleepy” bit. I fell asleep on the sofa, and as soon as I got up to go to bed. I was wide awake, again. I tried turning off the light and just laying there, waiting to fall asleep, because everyone knows that if you just turn off the light, you’ll fall asleep. Problem is that when I turn off the light before I’m sleepy, my mind starts doing mental gymnastics, thinking about everything I ever did that was wrong or bad or stupid. If that isn’t enough to wake someone up, I don’t know what is. I haven’t written in a while because by the time I’m ready to write, usually around 2am, I’m supposed to already be asleep or at least winding down, because I have to get up in a few hours and be functional in a 9-5 soul-sucking job. So at night when it’s time to go to bed, I climb in bed, and I read, and read, and read, until the Kindle is falling on my face. [BTW, the Kindle doesn’t hurt nearly as much as a hardback hitting me in the face.] But my doctor says that reading in bed is bad for me. I call foul. At least I get to the point where I can sleep if I read in bed. I am not everyone else. I don’t believe that one size fits all, and I especially don’t believe there’s only one solution to a problem. The solution to my problem is a job that’s flexible enough for me to sleep when I can. Something like an author. I just gotta get there.